Riverside, Iowa – Iowa PGA Professionals Sean McCarty and Darin Fisher both advanced out of the local qualifiers for the 2018 U.S. Open this week. The two Iowa PGA Members will now play in the Sectional Qualifiers in hopes to qualify for the 118th U.S. Open at Shinnecock Hills on June 14-17. McCarty was the medalist at the Glen Oaks Country Club local qualifier on May 14th. The Head Professional of Brown Deer Golf Club recorded a 4-under-par 67, besting Dennis Bull of Echo Valley Country Club by one shot. McCarty carded a bogey-free front nine with two birdies and followed up with three birdies on the back nine with just one bogey. Fisher finished T2 at the local qualifier at the Omaha Country Club in Omaha, Nebraska on May 17th. The Albia native recorded three birdies on the front nine and nine straight pars on the back, for an even-par 70. Iowa PGA Junior Tour Member and son of Iowa PGA Professional Jason Marvelli, Jake Marvelli placed sixth at the Glen Oaks Country Club local qualifier to earn the second alternate position. Marvelli’s round was highlighted by back-to-back brides on holes No. 9-10. He finished at 1-over-par 72 in the qualifier. McCarty and Fisher will now participate in a Sectional Qualifier, which begins Monday, May 21 and concludes on Monday, June 4. The spots available for the 2018 U.S. Open are to be determined. 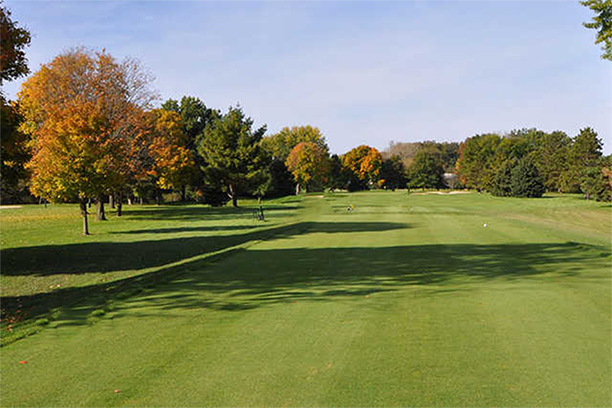 The all-new Iowa PGA website is now live! Visit IowaPGA.com to view our new look, in addition to our all-new Junior Golf website (IowaPGAJuniorGolf.com). The 2018 NB Golf Cars / M&M Golf Cars Foundation Pro-Am takes place Monday, May 21 at the Davenport Country Club. Teams are comprised of one professional and three amateurs. The format of this event is an 18-hole individual low pro and team event quota system. Each Iowa PGA Members who is entered in this event is encouraged to provide a donation that may be used in the games package or silent auction. Donations can be golf equipment or non-golf products. Please contact the Iowa PGA to inform us what you will be donating. Click here for more information. Special thanks to all the sponsors and to everyone that has already donated to this event! The 4th annual Cobra/Puma Junior Cup Matches are the next event on the 2018 Iowa PGA Junior Tour schedule. This Ryder Cup format event features the Iowa PGA Junior Tour versus the Gateway Section (St. Louis Area). This event takes place on June 2-3 at the Burlington Golf Club. Click here for more information. The Iowa PGA is still in need of PGA Professionals to help assist with instruction of the 2018 Junior Golf Academy. PGA Members will receive hour for hour MSRs for their assistance. Please contact the Iowa PGA office at (319) 648-0026.